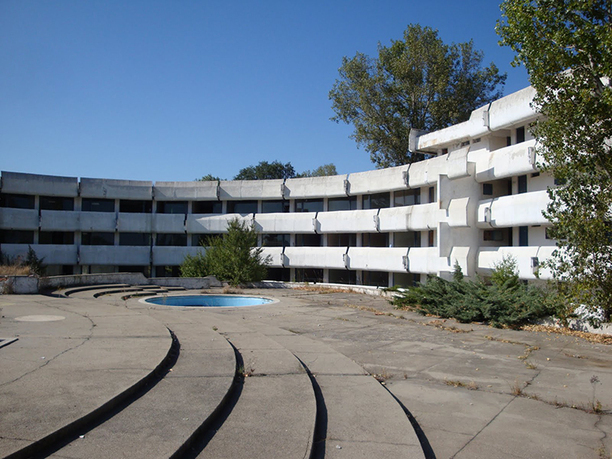 Kalliopi Dimou, Amfiteatru Complex, 2011, Olimp Resort, Romania. Courtesy of the artist. 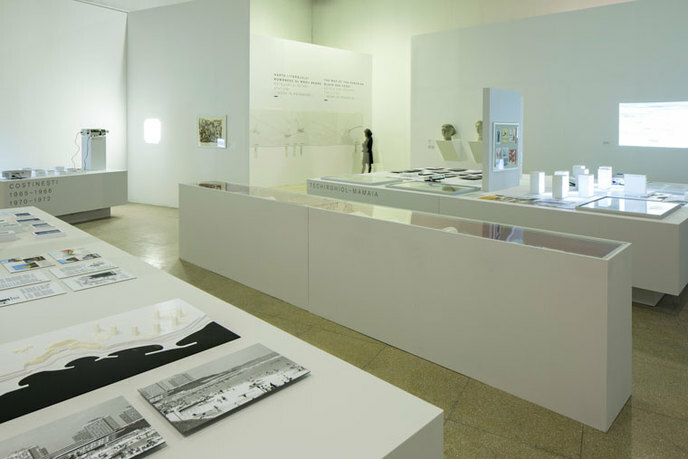 This exhibition analyzes the unprecedented tourism planning and the massive investment in large-scale architectural projects on the Black Sea Coast in Romania during the 1960s and ’70s, exploring the complex interrelationships between the state’s development policies and the particular conceptualization of modernist expressions in architecture. 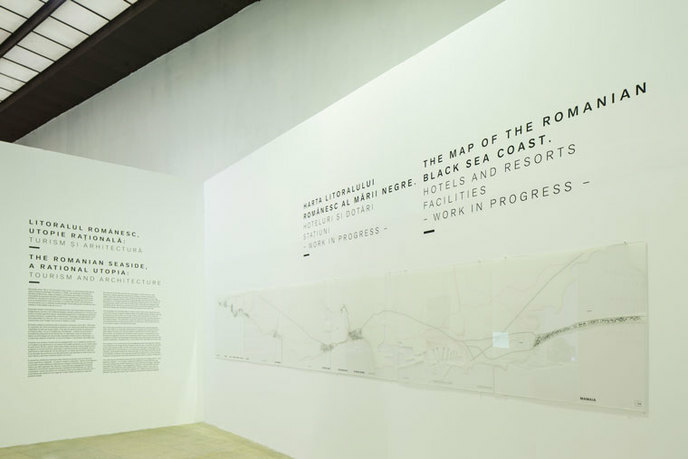 The exhibition traces the multiple layers of interaction between ideological intention, architectural discourse, and private usage, focusing on the distinctive nature of these holiday resorts, which lay their foundation on social utopianism and economic realism. 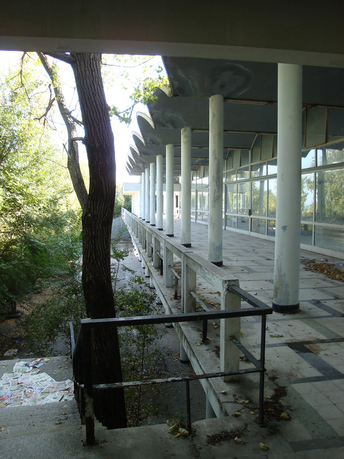 The curators argue that a revision of post-war leisure architecture in Romania, its governance principles, and formal preferences can only be fully grasped if a case-specific and historically contextual approach is taken. 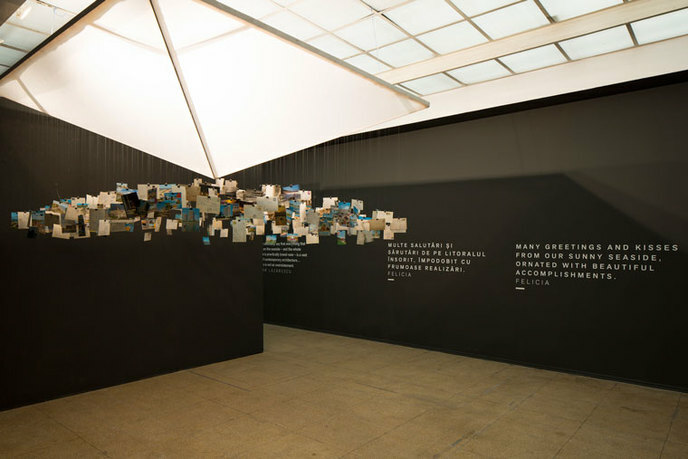 Thus, the exhibition attempts to expand its frame of interest from the politics of space towards the politics of image, looking at the Black Sea tourism planning strategies as a field for experimentation, and as an effort to indirectly connect ideas, concepts, and sources in flux from both sides of the Iron Curtain. Kalliopi Dimou graduated from the National Technical University of Athens in 2002, where she participated in the postgraduate program Design-Space-Culture. She has worked as an architect with the Athens-based urban and architectural office SXEHA, on medium- and large-scale projects, mainly educational and public, in Greece and Cyprus. 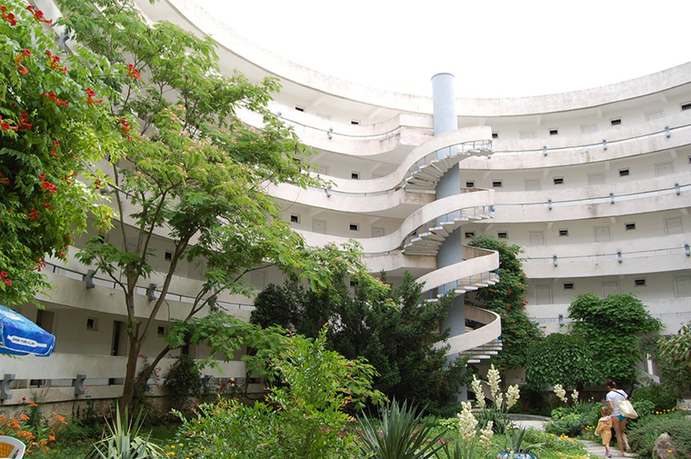 In 2008, together with Sorin Istudor, she established skaarchitects laboratory for architecture in Bucharest. 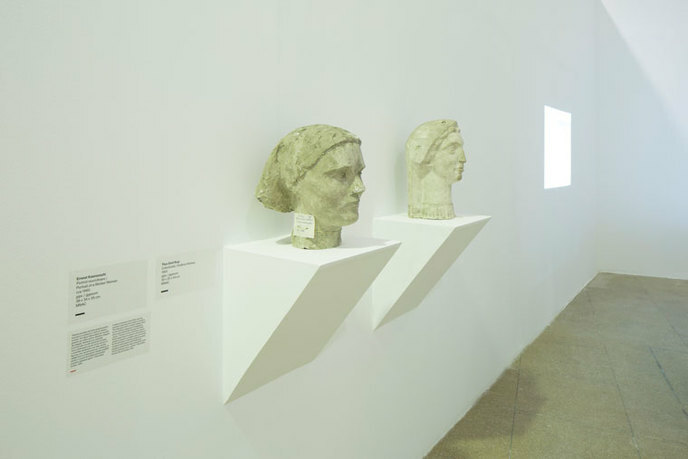 Her research interests center on the fields of architecture and culture in the modern period of the Balkan Peninsula. Sorin Istudor graduated with a degree in architecture from the University of Architecture and Urbanism, Bucharest, in 2002. In 2004, he attended the postgraduate program Design-Space-Culture at the National Technical University of Athens. He has collaborated with several architectural offices in Bucharest and Athens, mainly on small building typologies and international competitions. 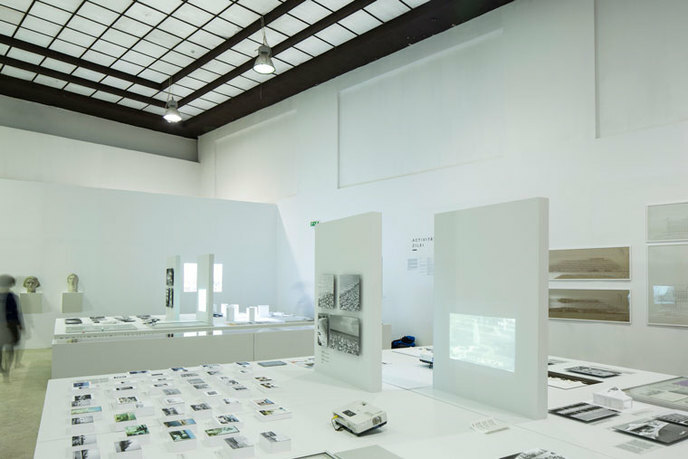 In 2008, he established skaarchitects, an architectural laboratory that conducts projects and public interventions, which concentrate on the exploration of various types of spatial identities. Alina Serban is an art historian and curator. 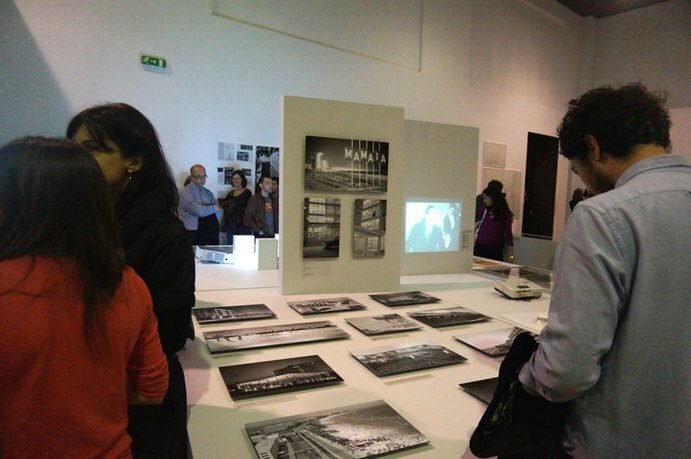 She is cofounder of the Centre for Visual Introspection, Bucharest. 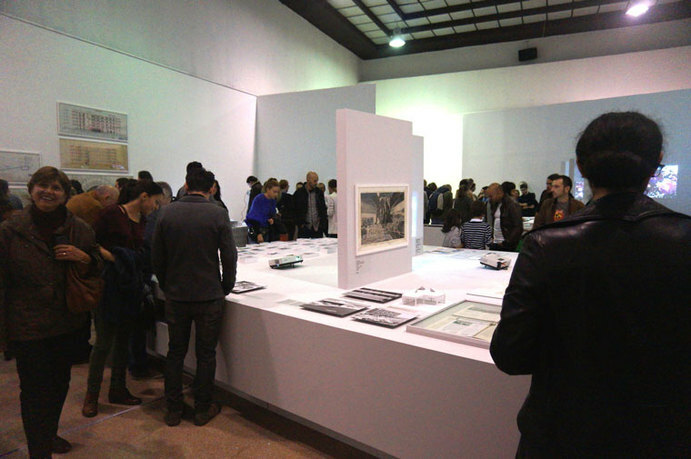 The idea-based exhibitions and projects she conceives share a research-oriented practice, dedicated to the reevaluation of historical positions in Eastern European art and culture, expand the possibilities of working with them, as well as examine the influential paradigm of conceptualism in contemporary art and its extended interpretation. 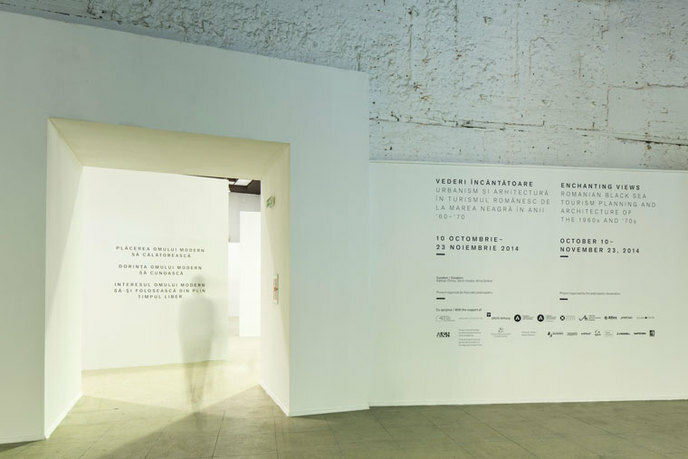 Recent projects include 1990_2010, at the Centre for Visual Introspection, Bucharest; The Seductiveness of the Interval at the Renaissance Society, University of Chicago, and the Romanian Pavilion at the 53rd International La Biennale di Venezia.